Lab cost management, easy as ABC. 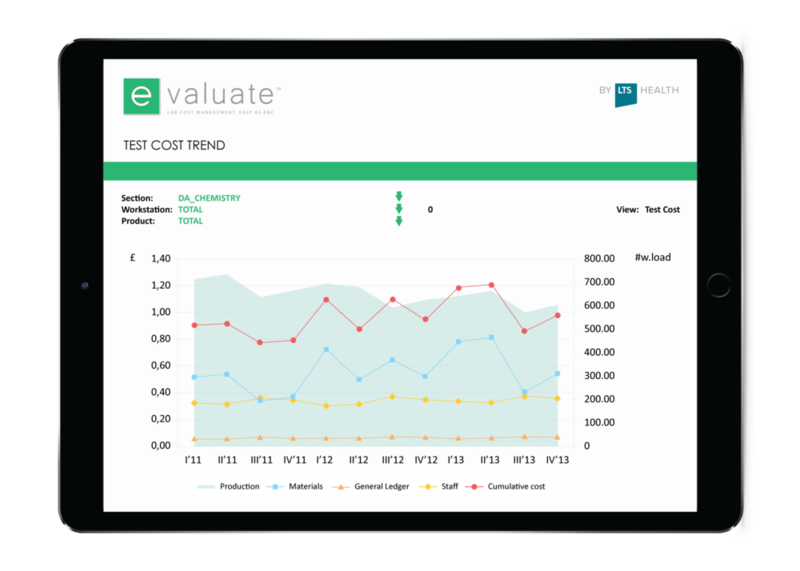 e-Valuate™ is a tool that calculates costs in your lab. 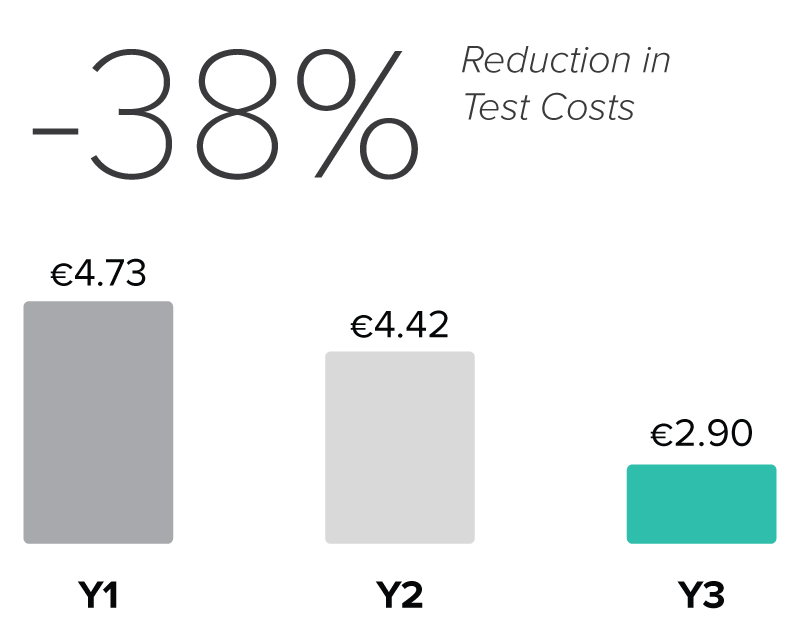 By performing an Activity-Based Costing (ABC) analysis on your lab, e-Valuate™ can help you achieve cost savings, improve productivity and manage change effectively. Discover and control cost drivers in your lab. Understand and optimise staff productivity. Navigate the impact of change to your operations. e-Valuate™ performs an accurate Activity-Based Costing (ABC) analysis on your lab. 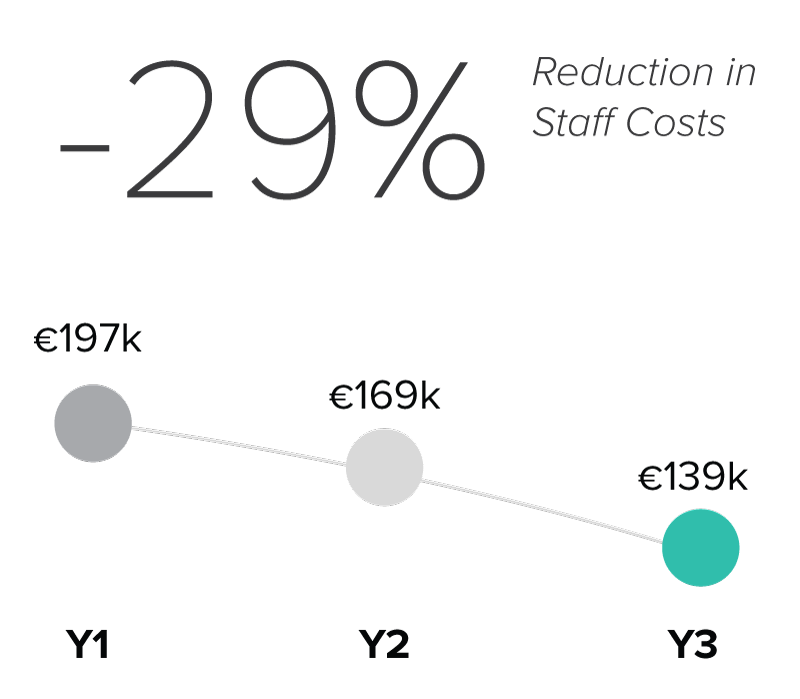 This enables you to keep track of costs, compare your lab to peers and assess the impact of future change. Read the peer-reviewed scientific case study that details how e-Valuate™ was used to deliver a significant reduction in costs and improvement in productivity. Conduct an internal analysis of your lab to understand what drives costs and how to realise savings. Understand what drives costs in your lab and whether this occurs at test level or across the entire lab. The cost of an activity in your lab can be measured to understand the cost across your lab and by section, workstation and test. Optimise your processes based on cost. See the impact of organisational changes. Compare your lab costs with other labs to understand and gain an independent perspective, while identifying performance gaps and areas for improvement. e-Valuate™ combines algorithms, data cleansing and validation with expert time on site. This provides you with a vital continuous improvement tool that allows you to benchmark your lab against peers. Follow a red/amber/green dashboard to easily understand how you compare. See how your performance compares. Opt in to compare your lab against peers of a similar type workload (three clusters: small, medium and large) and similar type (teaching, district general, specialist referral centre). Cost and productivity in one view. Identify the areas that require action and understand where cost savings can be realised - even after optimisation. Test the impact of potential changes on your lab and make decisions based on evidence. Whether you are in the process of consolidation or simply driving continuous improvement, e-Valuate™ can quantify the impact of change in terms of cost savings and productivity. ABC 1-2-3. We make it easy for your lab to apply Activity-Based Costing (ABC) and gain a very detailed and accurate representation of what drives costs. LTS Health subject matter experts visit your lab to map your processes in great detail. We then clean, validate and allocate your data to the activities in your lab. Activity-Based Costing (ABC) methodology is applied to your lab’s process logic. Get e-Valuate™ for your lab today. e-Valuate™ is offered at an affordable annual license fee. A license fee is applicable per laboratory (i.e. routine blood sciences, microbiology, cellular pathology, genetics etc.). For larger, more complex laboratories, a customised quote will be provided. The benefits of using e-Valuate™ have been demonstrated in two case studies, both published in the Clinical Chemistry and Laboratory Medicine (CCLM) journal. e-Valuate™ is GDPR compliant. All data is hosted on Microsoft Azure servers in your country. LTS Health holds the Cyber Essentials Plus certification. Do you have a specific question or want to know more? Read our frequently asked questions and find what you need to know.